Only thing it didn’t sync with – Outlook. I use Outlook every day. It’s a great business email application and I just wished it had Google contacts syncing of some sort so I could keep all my contacts unified.. Along comes.. Go Mobile Sync Mod! Great product and highly recommend it. 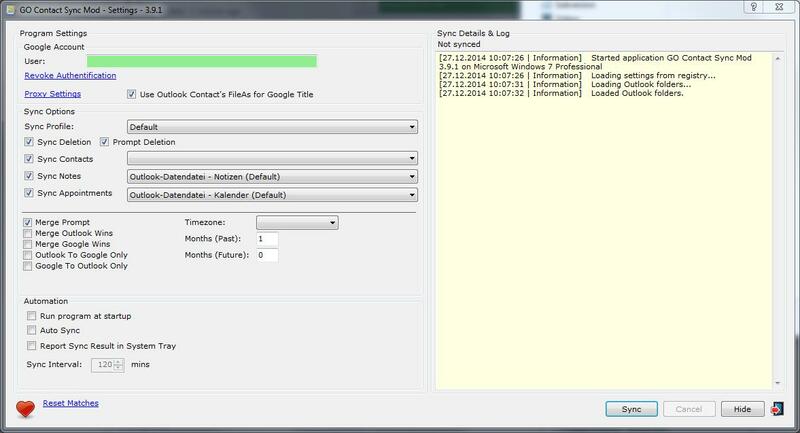 It allows you to keep your Google Contacts/Gmail Contacts in sync with your Outlook. Lately they have also added Calendar sync which seems to work beautifully straight away. For anyone experiencing the same problem as me I would recommend giving it a try and see if it helps with your syncing woes.